CloudMounter is an app developed by Eltima Software for working with your cloud accounts and web servers in Finder as if they were local drives. You can mount your OpenStack, OneDrive, Google Drive, Amazon S3 and Dropbox storages and FTP, SFTP, FTPS and WebDAV servers. You can mount as many accounts for each storage as you want. 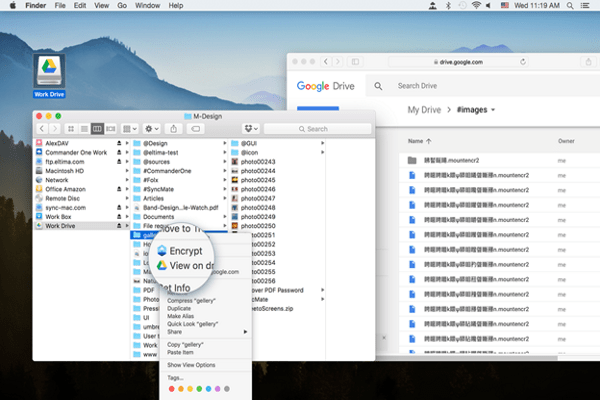 CloudMounter allows you to work with these storages without having to sync or copy your online files to your Mac hard drive. Does not store or send your personal info to any third parties. Your login data is stored in macOS Keychain. 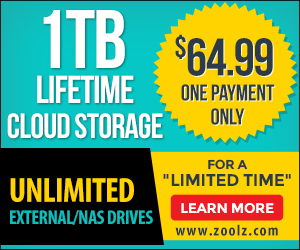 Doesn’t support Amazon Cloud Drive and iCloud storages at the moment, although promises to implement them soon. CloudMounter allows you to mount your favorite cloud storage’s and remote servers as local drives on your Mac to work with online documents from Finder in the same manner as with local files, at the same time securing your sensitive data with encryption. CloudMounter blends its forces with Finder for the smoothest mounting of remote servers and cloud accounts. Thanks to CloudMounter you can work with remote content very easily. CloudMounter will connect you to your OpenStack, OneDrive, Google Drive, Amazon S3 and Dropbox accounts and to FTP, SFTP, FTPS and WebDAV servers in Finder. While working with online documents as if they were stored locally, there is actually no synchronization or saving anything locally involved – everything stays where it is supposed to be. No matter how many accounts for how many storages you have registered, you can work with all of them from the comfort of your Mac OS Finder. Thanks to CloudMounter you get all-in-one access to the data stored online and work with it just the way you would with local files. CloudMounter is easy to install and set up and is super convenient to use: add a new drive in the CloudMounter status bar menu and establish connection with your login credentials. CloudMounter doesn’t store your login data – it is all securely saved in your macOS Keychain. If you quit the CloudMounter app it will remember your settings and will automatically mount active connections on restart. Additionally to all the mounting conveniences of CloudMounter, you also get a wonderful possibility to protect your documents, photos, audio, and video files. Encrypt your files with CloudMounter to make them unreadable to anyone without a special decryption key, so if anyone unauthorized somehow gets to your data, they won’t be able to make any use of it. CloudMounter is a one-stop solution to all your cloud storage access needs – one app for working with multiple services including clouds, Amazon S3, WebDAV, and FTP/SFTP servers. Not only is this solution very friendly and convenient, but it also offers security and reliability while working with various cloud storages and remote servers. CloudMounter values your privacy and doesn’t store or send your login information to any parties not involved in connection. Login details for storages and servers are kept in Mac OS Keychain and are only used to log in to the corresponding accounts. CloudMounter offers such efficient data protection method as encryption, which keeps your sensitive data protected from unauthorized users. All-in-all you can say that this app saves your hard drive space by letting you easily use clouds and servers as your Mac disks and keeps everything well-protected. Many users agree that keeping ever growing piles of files in the clouds is a great way to extend disk space of their computers, however it can be hectic handling all the storages one might have in Google Drive, Dropbox, Amazon S3, Microsoft OneDrive, or FTP and WebDAV servers. 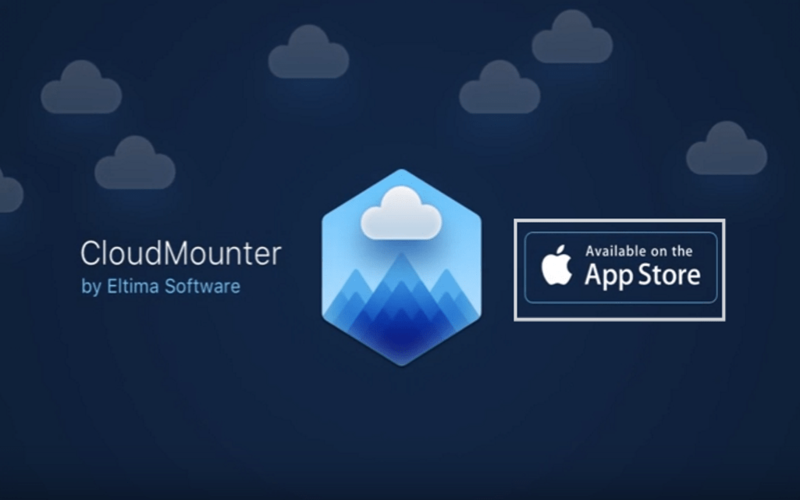 CloudMounter for macOS (US$29.99) developed by Eltima Software lets you have all these services as mounted “drives” in the macOS Finder for easy management from one interface, and now it offers data encryption as a way to ensure that only your instance of CloudMounter can access your data.